So how does McDonald’s dominate the fast food burger market when 54,000 random respondents rate them as the least tasty? The simple answer is branding. I’ve grown up seeing the McDonald’s brand everywhere, from television to radio to billboards to being The Official Food Sponsor of the U.S. Olympic Team. If McDonald’s turned off their advertising only for tomorrow, they would save $2.8 million. That’s how much they spend on advertising each and every day. But they won’t give their advertising even one day’s rest, because without their brand they are just another burger joint with a Grade D burger and very salty french fries. McDonald’s . . . all they have is their brand. Are your technicians very attentive to detail and cleanliness on service calls? Do you stand by your work with a quality guarantee? Have you been a part of the community for many years? Are your customers huge fans of your creativity and execution in bettering their homes? You have a lot going for you . . . but does every homeowner in your service area know your brand? Are you a household name like McDonald’s? When a prospective customer is shopping for a service provider, will your name pop out to them in search engines? Will it pop out to them in the Yellow Pages? 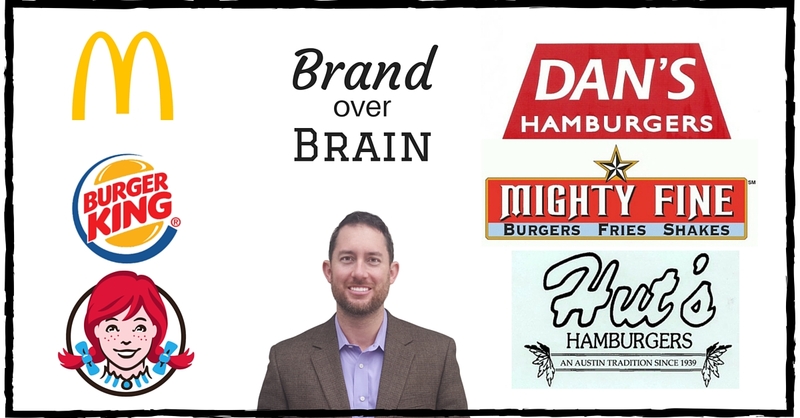 Will they recognize your brand just like they can spot the Golden Arches from a mile down the interstate? We all know how expensive it is to advertise on the radio. On television. And the purpose is not so that people will grab their phones and call as soon as they hear, but rather it is to build brand awareness so that when they go to Google that brand name just leaps off the screen. If you are already brand advertising on the radio, then why are you not brand advertising on Facebook? With Facebook you can advertise specifically to homeowners. Specifically to certain zip codes. You can even select the dollar range in home values that you would like to target. You sure don’t get that on the radio. With radio advertising you are paying for your commercial to be heard by people in apartments, teens and students who live in apartment complexes, probably people who are not even in your service area. Now let’s consider the simplest form of Facebook advertising, these are the 90-character ads that appear on the right side of Facebook and on mobile devices. These ads can re-direct to your company’s website. But it is even better if they don’t click on your ad and instead just see your brand and become very aware of your brand for when they do need you. Sure, Facebook offers a lot more than that. And in fact, a killer Facebook page is Step Zero to building a comprehensive marketing strategy. That’s where your customers share their reviews that are seen by their own friends that they trust (not anonymous reviews like Yelp or Angie’s List). And that is where you can tell the rest of your story to prospective customers (and to keep happy customers returning). Use Facebook as a tool and not as a toy and you can tell the story behind your brand. So use Facebook to heighten your brand’s awareness to your target market, then share the rest of your story, and lastly provide exceptional service. That recipe will grow your business organically, which is likely how you’ve succeeded to this point. Think you don’t have time to keep up with Facebook? I bet you do. Still don’t think you have the time? We’ve got people for that. Whether you need help with targeted advertising, or need us to handle the whole thing, we’ve got the people, strategy, and experience to get your brand seen by the right people to help you develop ready-to-buy leads. Set up a discovery call with our team today. We’ll need about 15 minutes to discover where you are currently, your capacity to grow, and whether you will fit into our client portfolio. We are always hiring, but until we can add that 25th hour to the day, we are still limited in how many clients we can serve.